UK Mini Swap - let's do this! What do you say, shall we kick off??? Please read THE RULES below. 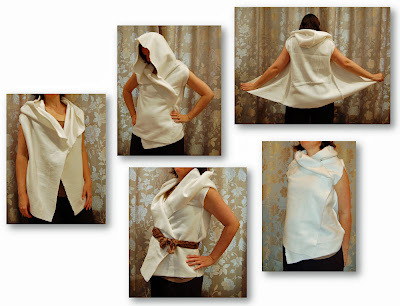 If you agree to all of them, and only then, please head over and sign up for this swap. Please take your time filling in the answers! I'll publish a "final call for sign-ups", so please don't rush! Make sure you are taking your time signing up as the better information you provide, the easier it'll be for your Partner to make a Mini Quilt which makes you happy! You MUST be active on social media. By publishing progress photos online, you interact with the other swappers, share ideas, and encourage each other along the way. You meet new people. You get to know them better. If you are lucky, your partner sees your progress photos and says s/he loves what you are doing. Believe me, it is FANTASTIC when this happens! To get the most out of the swap, it really helps being active on Instagram / Flickr / Pinterest. It also makes your Partner happier. 1. To join, you MUST have an address in the United Kingdom for the Mini Quilt to be sent to. 2. You MUST be active on social media so your Partner can stalk you (and so your Quilt Mama can see that you are active and going to produce a Mini Quilt for your Partner). Instagram, Flickr, Pinterest, Facebook or blogs are all permitted, as long as you are public, and active! Most of the action is likely to happen on Instagram and Flickr. 3. You agree that this is a Mini Quilt swap for all abilities. 4. You have to fill in the Questionnaire online (link below). Please be as specific and helpful as you can. BUT, remember, not all your requests may be possible for the Partner to meet. 5. Your answers will be sent to your assigned Partner for them to make a Mini Quilt for you. Someone else will be making a Mini Quilt for you. 6. The Mini Quilt must be minimum 15 inches on both sides, and maximum of 24 inches. It can be any shape. If you are making a circular Mini Quilt, or any other shape, please make sure the diameter / measurement across is minimum 15 inches and maximum 24 inches. 7. You should not tell anyone who your Partner is. Keep this secret until you know they have received the Mini Quilt. 8. Please publish progress photos! 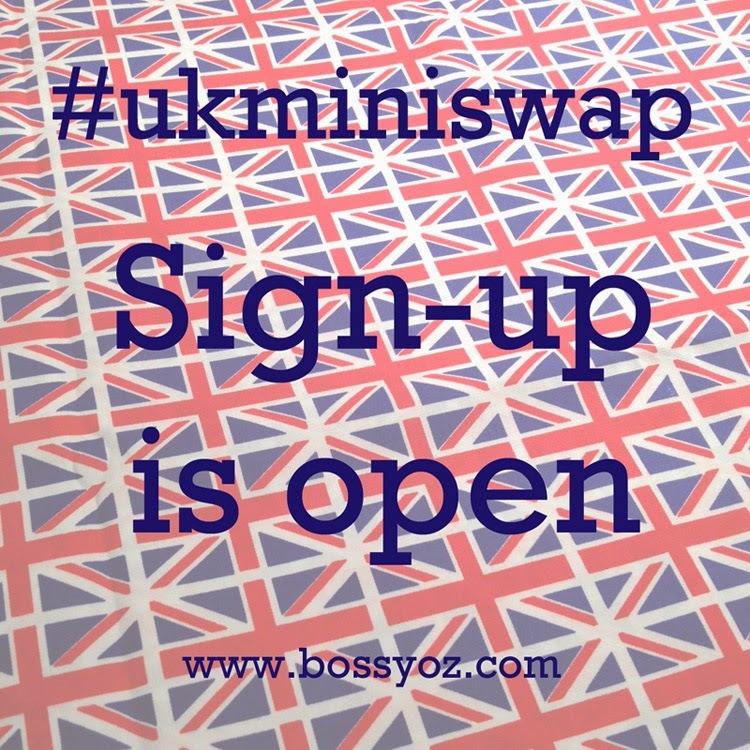 For all social media, please use #ukminiswap. If the interest is great, there’ll also be specific Swap Mama hashtags. A Flickr group is also set up, https://www.flickr.com/groups/ukminiswap/. You have to be a member of the group to see photos and discussions. 9. 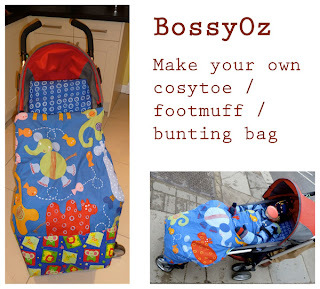 The Mini Quilt should be shipped earliest 17 April and latest 22 April 2015. 10. When you have sent off your Mini Quilt, please post a picture on Instagram / Flickr with the hashtag #ukminiswapsent (plus #ukminiswap). You don't have to show the full quilt. 11. When you have received the Mini Quilt from your secret Partner, please post a picture and a Thank You on Instagram / Flickr with the hashtag #ukminiswapreceived (plus #ukminiswap). All right, if you agree to all of the above, go on, head over and sign up. At the moment, I have set no end-date for sign-ups, but if interest is slowing right down, I may start pairing partners. Currently, I have a few Swap Mamas lined up, but I may need some more (it’s one of the questions in the sign-up form), as this should be fun for all. Please feel free to join the United Kingdom Quilters United group on Facebook, where some of the action may well happen. Oh no, I've only just seen this via IG - are sign ups permanently closed?! Is there a back up/waiting list? I'd so love to take part!